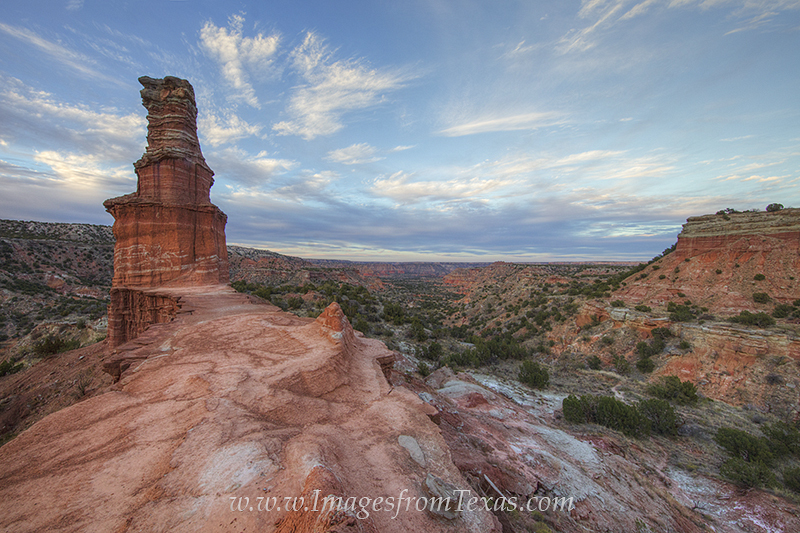 Taken with a wide angle lens, this image from Palo Duro Canyon show the iconic Lighthouse with the red rock canyon in the distance. This Texas landscape is beautiful, and the hike to reach this point is one of the more enjoyable walks Iâ€™ve taken. Photo © copyright by Rob Greebon.